If you've turned that big GM, Ford, or Dodge cargo van into your office, then you know how noisy clanging tools and steel doors can be. We are introducing the best way to minimize that noise. Kargo Master van partitions are designed to block distracting noises while providing immeasurable strength and security. These van partitions offer a customized rubber door frame and tight high compression hatch, minimizing noise and setting them apart from the competition. Kargo Master van partitions are made out of 16 gauge steel which is coated with a thick layer of grey powder coat paint. The grey finish not only looks amazing, but also adds corrosion resistance, keeping the integrity of the steel intact for years of use. These van partitions are made up of steel panels which are double hemmed, adding unmatched strength. The Kargo Master van partitions are designed to work with the security corner, which is sold separate. 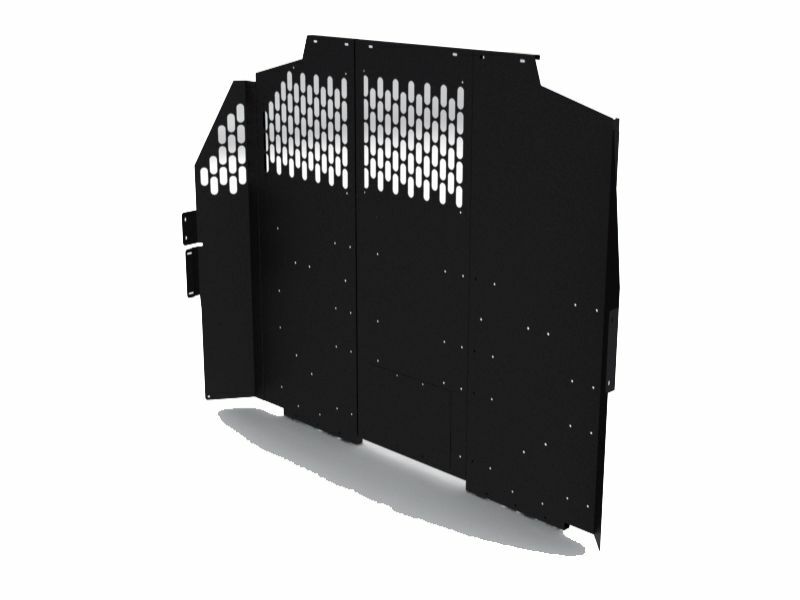 This security corner is designed to keep thieves out of the cargo area of your van if broken into through the cab. Bringing to the table high end security and noise padding, these van partitions will fulfill and exceed all your expectations. Kargo Master backs these van partitions with a limited lifetime warranty. The Kargo Master van partition offers an easy installation. There is an installation manual that is sent with this product which offers clear cut and easy to read instructions. For additional information please call us at 1-877-216-5446 or 701-253-5906.